The University of Athens Central Building. 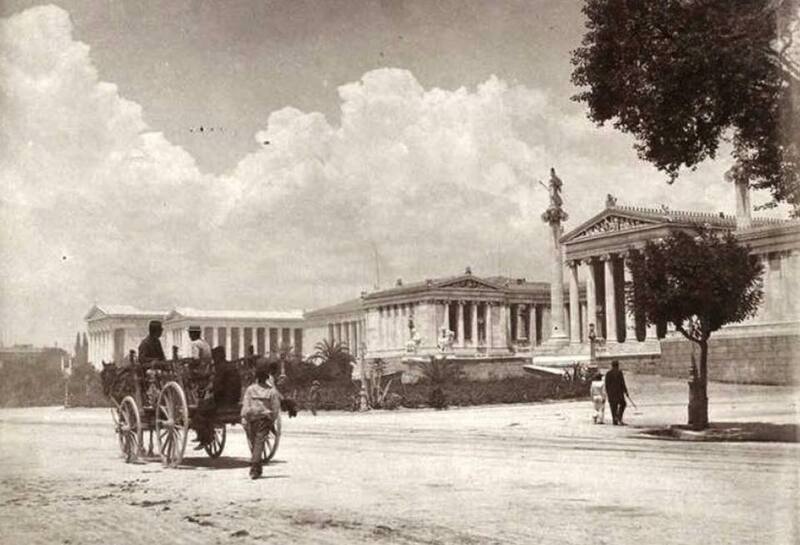 The University of Athens was founded in 1837. 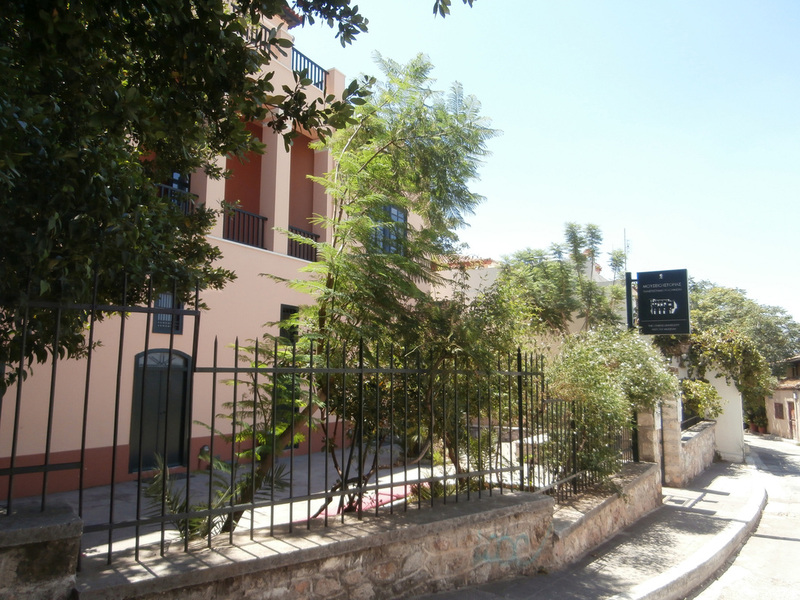 Ιt was originally housed in the former residence of architects Stamatios Kleanthis and Eduard Schaubert, in Plaka, the historic neighborhood of Athens. It was the first university in Southeast Europe and the second academic institution of Greece, following the Ionian Academy. It's first name was Othonian University after King Othon of Greece. The original building was too small to serve the expanding needs of the University, so Danish architect Christian Hansen was commissioned to design a new one. Hansen followed a neoclassical approach, "combining the monument's magnificence with a human scale simplicity" and gave the building its H-shape. Its principal façade forms half-closed propylaea of ionic order. ​Worth seeing are the fountain in the court, the circular stairway and the multi-colored murals with classical themes (designed by the Bavarian K. Rahl), decorating the walls, located behind the columns on the balcony. Construction began in 1839. Its front wing, also known as the "Propylaea", was completed in 1842-1843. Before the façade in the two angles, large-scale statues one of Patriarch Gregory V and another of the poet-symbol of the War of Independence Regas Pheraios, both works of the sculptor John Cossos. On the top of the external stairs, the statue of the great Hellenist and patriot Adamandios Korais, by the sculptor G. Vroutos. In the small garden, the great statesman of England Gladstone by the sculptor Vitalis and close to that, a Pillar in memory of the young students who were fallen for the country. The rest of the wings' construction, supervised at first by Greek architect Lyssandros Kaftantzoglou and later by his colleague Anastasios Theofilas, was completed in 1864. Today, the building is part of what is called the "Athenian Neoclassical Trilogy", along with the buildings of the Athens Academy and the National Library of Greece that were built afterwards flanking to the left and the right of the university. The Othonian University was renamed to National University in 1862, following events that forced King Othon to leave the country. It was later renamed to ​"National and Kapodistrian University of Athens" to honor the Governor Ioannis Kapodistrias, the first head of state of the independent modern Greek state. The first seat (1837-1841) of the University of Athens of the independent Greek State, formerly the house of architect Stamatios Kleanthis, in Plaka. An historic photograph of the "Athenian Trilogy" at the turn of the 20th century by Odysseas Fokas. Fairly close to the University of Athens, The Athens Key suggests Electra Metropolis Hotel, rated "fabulous" by guests from Booking.com. The elegant rooms and suites at Electra Metropolis feature modern decor, wooden floors and warm tones. Each includes a marble-tiled bathroom with hairdryer, bathrobes, slippers and organic KORRES toiletries. A work desk, 40'' Smart TV with satellite channels, a laptop safe and a mini bar are standard and free WiFi access is provided throughout. The hotel boasts a small, rooftop pool with a waterfall effect, and a sun terrace with views over the city. Gourmet dishes and refreshing cocktails can be enjoyed at the top-floor restaurant or at the M Bar offering panoramic views over the Acropolis. A retro-style lounge area, where guests can enjoy coffee or a drink, is featured at the unique sky-light atrium and guests can also taste Mediterranean flavors at the ground-floor bistro featuring an open kitchen. Extra services include a 24-hour front desk and room service. Restaurants, bars and shops can be found just steps away, while the scenic Plaka area can be reached within a 10-minute walk. 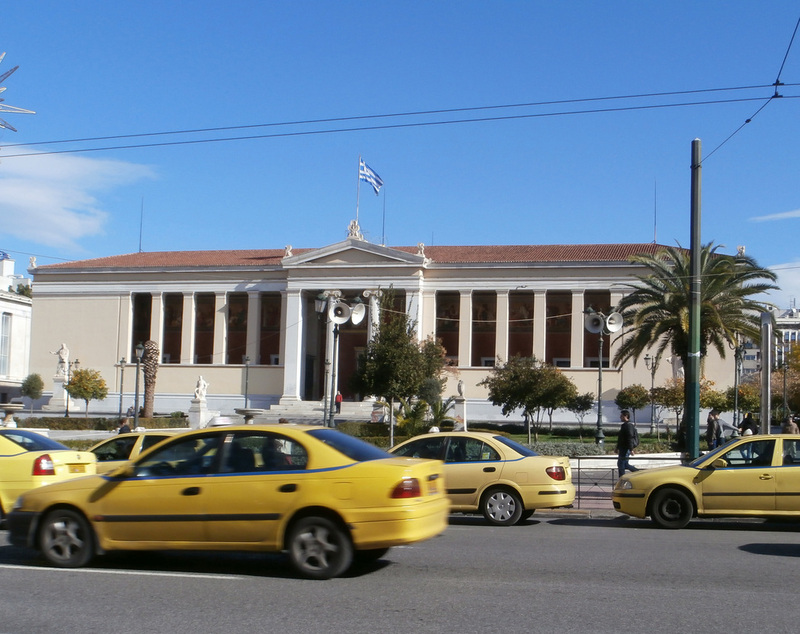 The National and Kapodistrian University of Athens.